With vast industrial expertise and affluent knowledge of this arena, we are readily instrumental in providing world class Aluminium Panel Fabrication Service. As per the detailed desires of our clients, these presented services are broadly cherished. In addition to this, these could be altered as per the varying desires of our clients. We are a leading Aluminum Composite Panel fabricator, installer and designer in India. 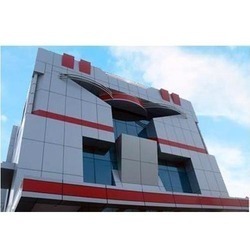 Our work of Aluminum Composite Panels includes designing of new building or transforming the existing building structure into the new versatile look and style without any structural change of existing building structure or installing and fabrication.